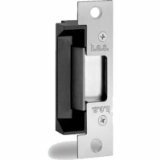 The HES 5000 is our most common electronic strike used for low profile openings where heavy duty hardware is necessary. It has a pin locking design with a field selectable fail safe/secure. It accommodates latchbolts up to 5/8" throw. 501 (4-7/8" x 1-1/4", square corners & flat faceplate) For use with cylindrical locksets in ANSI metal jambs. 502 (7-15/16" x 1-7/16", radius corners & flat faceplate) For use with cylindrical locksets. Includes universal mounting tabs. Aluminum frames. 504 (10" x 1-3/8", radius corners & flat faceplate) For use with cylindrical locksets. Four point mounting for wood installations. Need to know when someone entered the door? Add a plug in buzzer to create sound when the door is used. 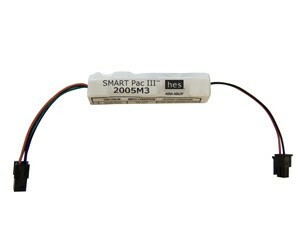 HES SmartPac III in-line power conditioner. For use in continuous-duty, fail-secure applications. Choose an LBM style strike instead of standard version with a 630 finish and Latchbolt Monitor (LBM).